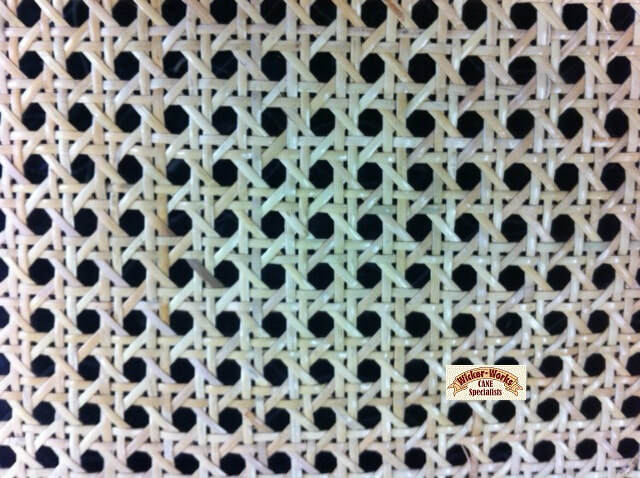 Pre Woven 1/2" Open Weave Rattan Webbing. Available in 450 mm and 610 mm wide. Semi Bleached: Is the most common and easiest to fit. You can stain and paint only over the top surface so as to allow the webbing to breathe. It will darken with age. Natural: This is slightly stiffer and harder to fit. Best to leave natural or apply shellac or oil. It will darken with age. Webbing: Allow at least 25 mm overhang all around. Spline: Order spline that's 1 mm smaller than the width of the groove. Example: Groove width is 5 mm, then use 4 mm spline. 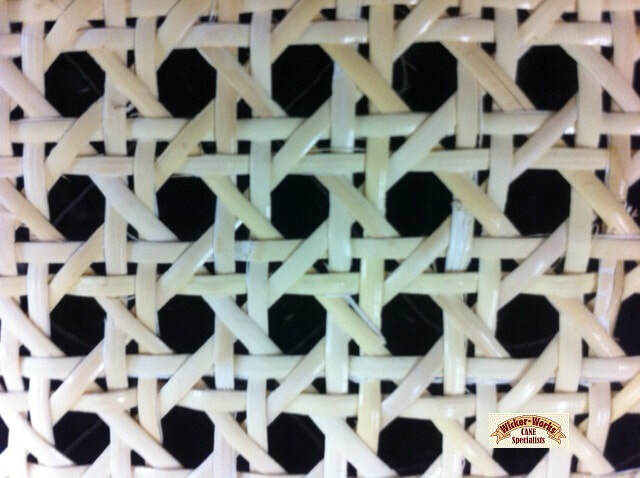 Tips: The rattan webbing has to be wet when fitting. It will dry tight. 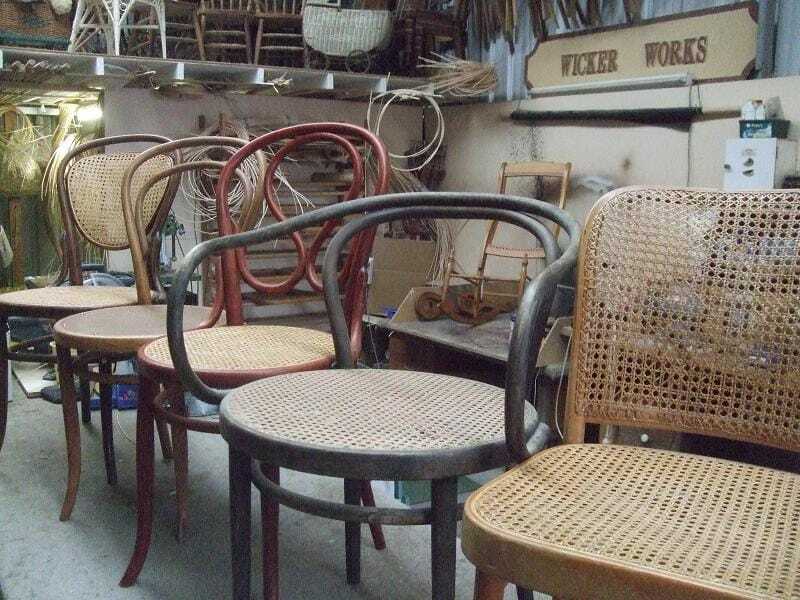 Humidity and rain may cause the rattan to go loose and buckle slightly. It will eventually dry tight. 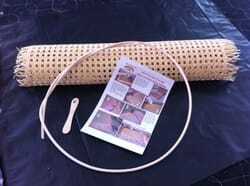 Should the rattan webbing stay loose and look stretched, then apply water and then allow to dry naturally. And yes, it will dry tight again. If not....then you may have to replace the rattan webbing. PLEASE NOTE: When ordering, please add 60 mm overhang. Cut excess off once fitted. 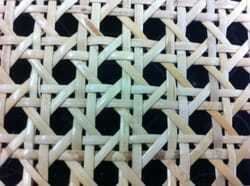 Example: Fitted Webbing measures 430 x 390 mm. As a guide Order max 490 x 450 mm Webbing. Best to email an image or two of your chair seat to confirm correct size. Note: Not all chair seats have the same size groove to house the cane spline. So please check the width of the groove before ordering. Generally 5 mm wide groove, use 4 mm dia spline. Includes Instruction Sheet and Tool. Larger sizes available. please email details.